Neighboring construction is happening beside us until July 19. Excessive power noise is limited to the hours of 8.30am - 5pm. 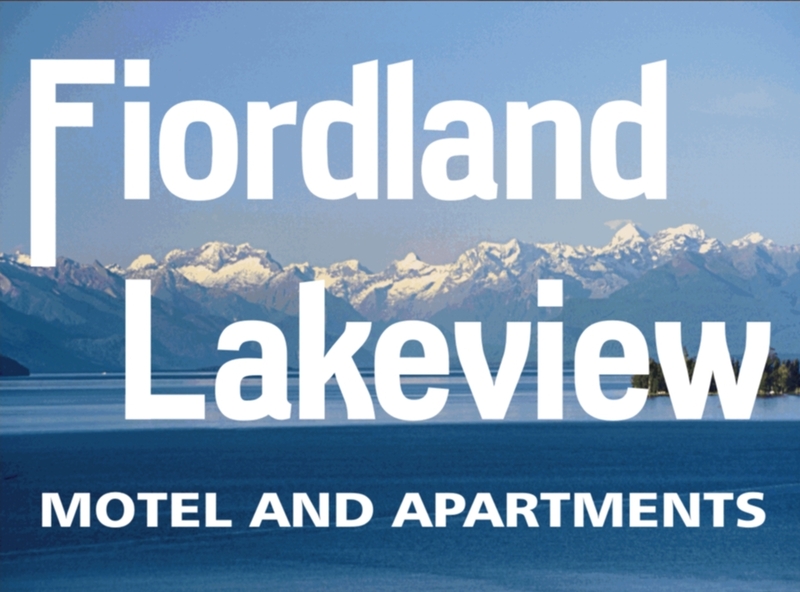 Fiordland Lakeview Motel and Apartments is located on the shore of the South Island's largest and most beautiful lake. A 10 minute scenic walk to the Town Centre and Restaurants we are close to everything you may need while staying in picturesque Te Anau. From the windows of our Apartments is a panoramic view over Lake Te Anau. We will share with you our intimate knowledge of Fiordland and all it has to offer. Above all we are dedicated to ensuring that you, our guest, receives the finest holiday experience possible while on holiday in Fiordland whatever your interest....... be it Milford Sound, Doubtful Sound, Glow Worm Caves, Tramping, Hunting, Fishing, Helicopter Rides, Float Plane Rides, Jet Boat Rides, Horse Treks or just relaxing and taking in the magnificent scenery. Fiordland Lakeview Motel and Apartments is a 10 minutes’ walk to the Te Anau town centre. The Kepler mountains provide a magnificent backdrop, and off to your right, the murchison mountains hint at the impenetrable vastness of the world heritage Fiordland National Park. Fiordland Lakeview Motel and Apartments is located two hours closer to the Milford Sounds than Queenstown, which makes day trips a safe and enjoyable experience and the ideal base to visit our World Heritage National Park. We can arrange the best trips to suit your needs free of charge. All local companies will pick up for Doubtful or Milford Sound. Te Anau has a number of excellent Restaurants and Coffee Bars within easy walking distance of Fiordland Lakeview Motel and Apartments. Some open early for Breakfast, while others, open later, and serve into the late evening. A local Four Square and Fresh Choice Supermarket hold all the supplies you need for your stay in Te Anau. to save your lakefront accommodation or call us for our best deal!